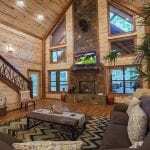 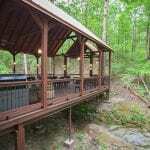 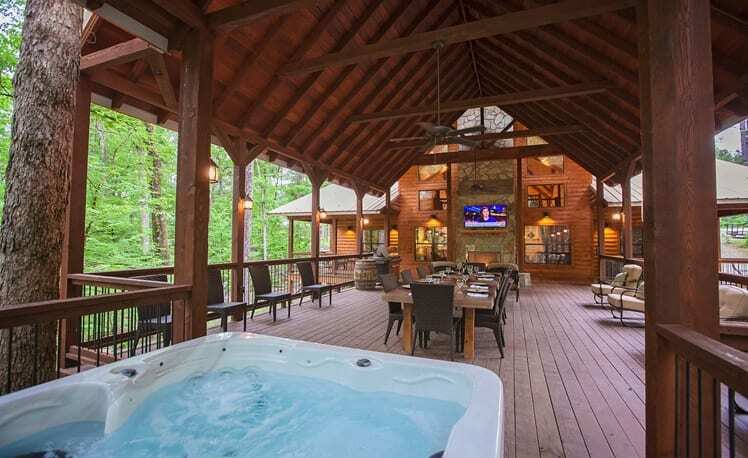 Enjoy a luxury spa lodge with a creek-side location! 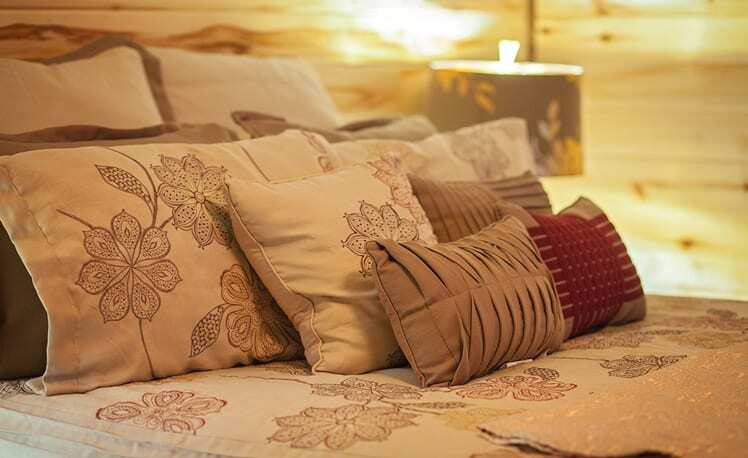 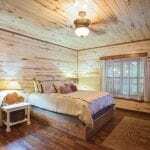 The Copper Spa Lodge, sleeping up to 14, offers a retreat experience, perfect for families, couples and groups. 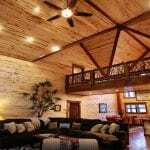 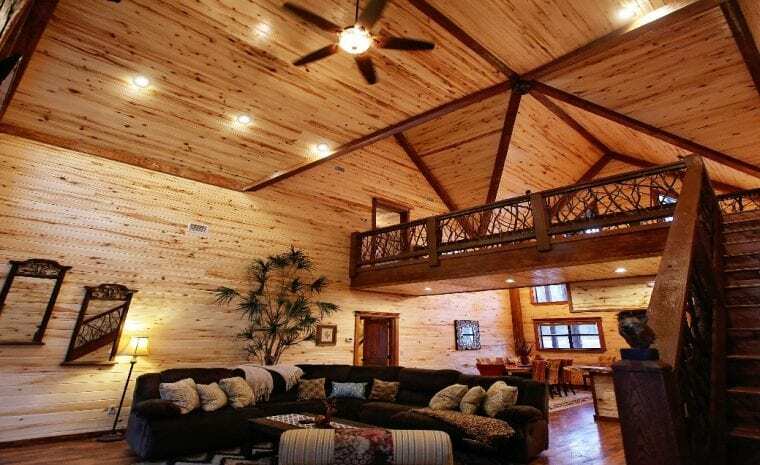 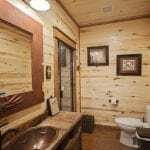 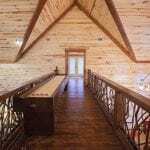 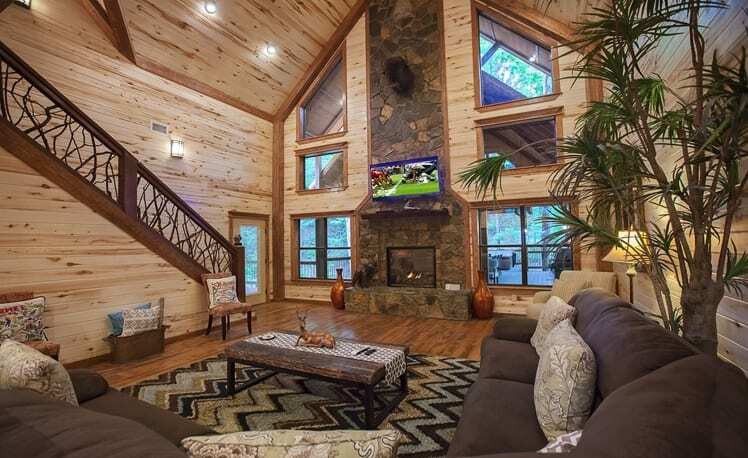 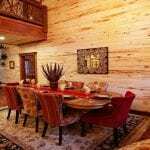 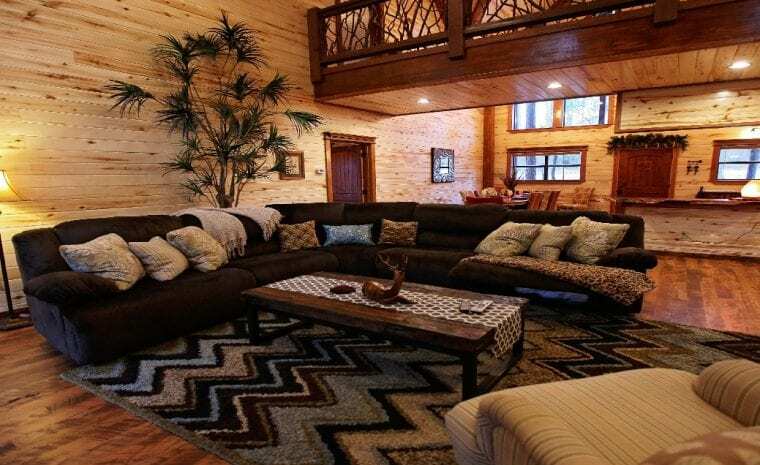 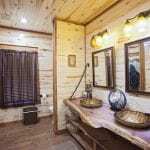 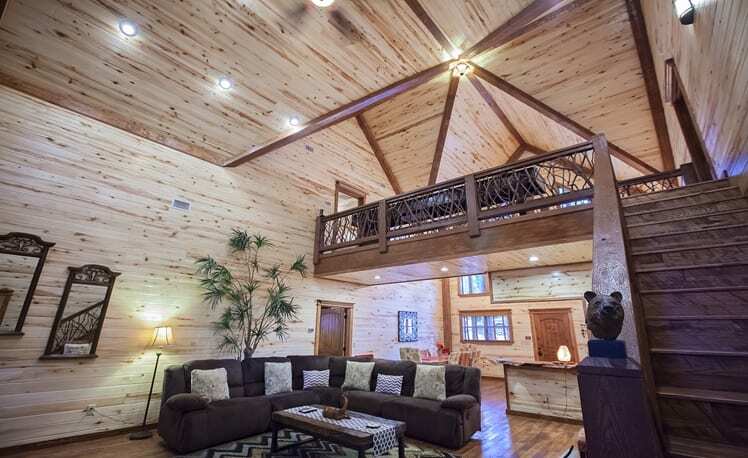 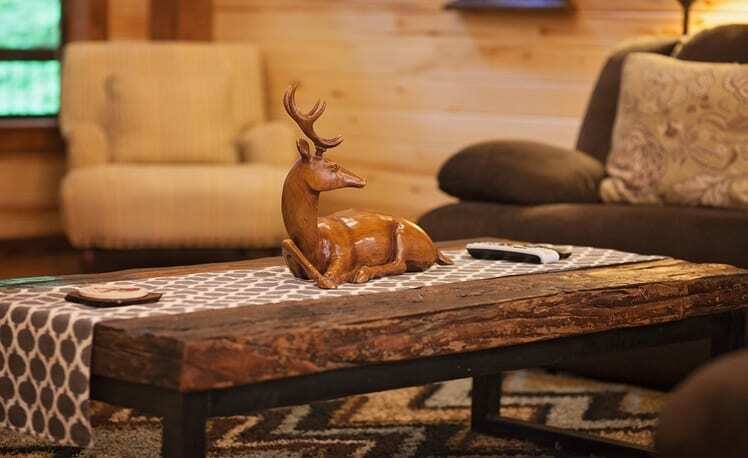 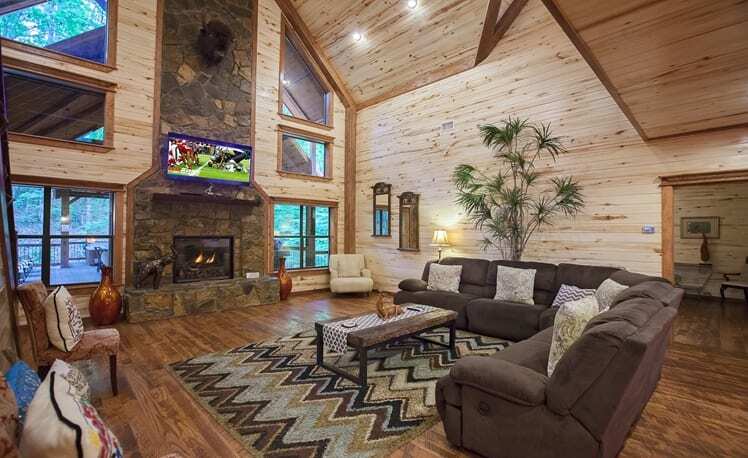 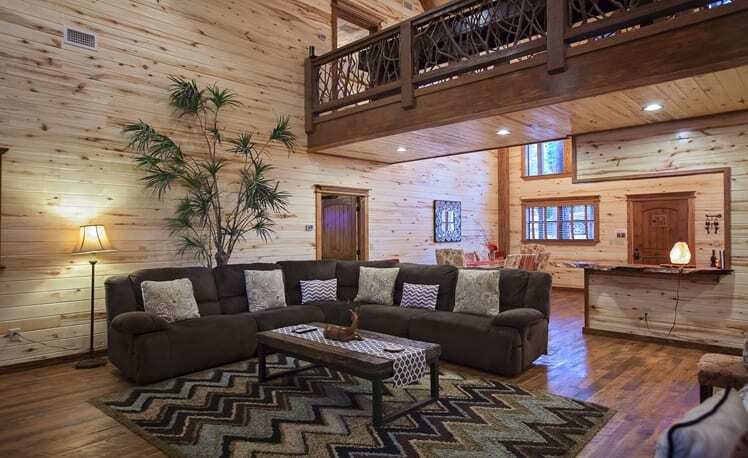 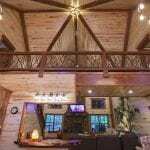 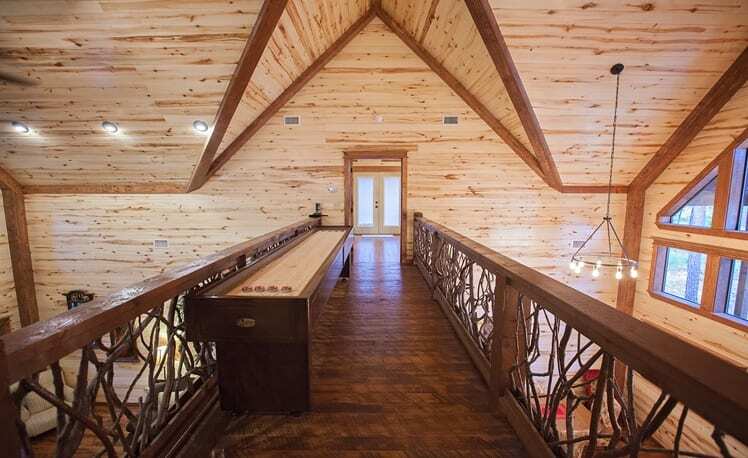 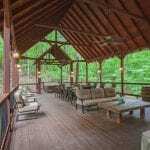 This retreat is rustic enough to evoke an escape experience and yet replete with luxurious comforts, games, and large outdoor entertaining area. 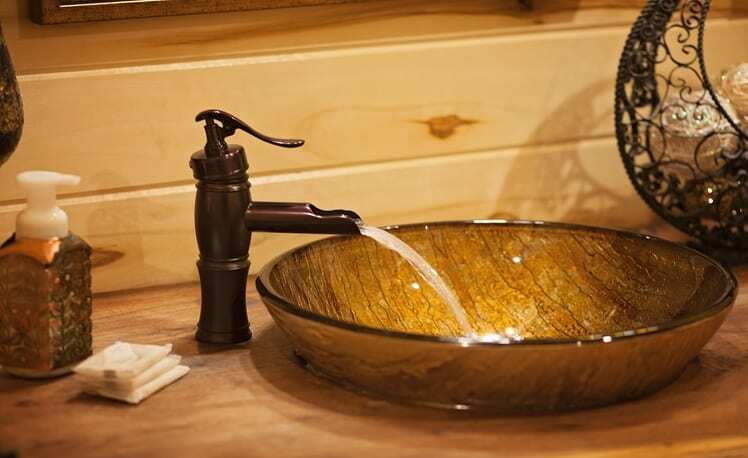 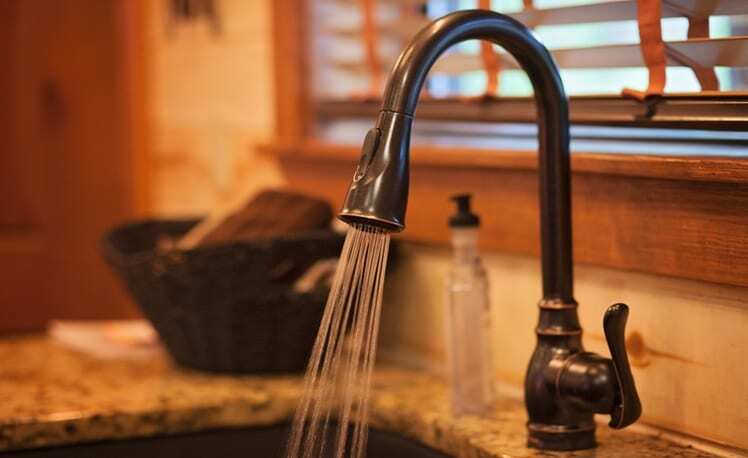 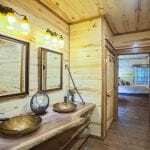 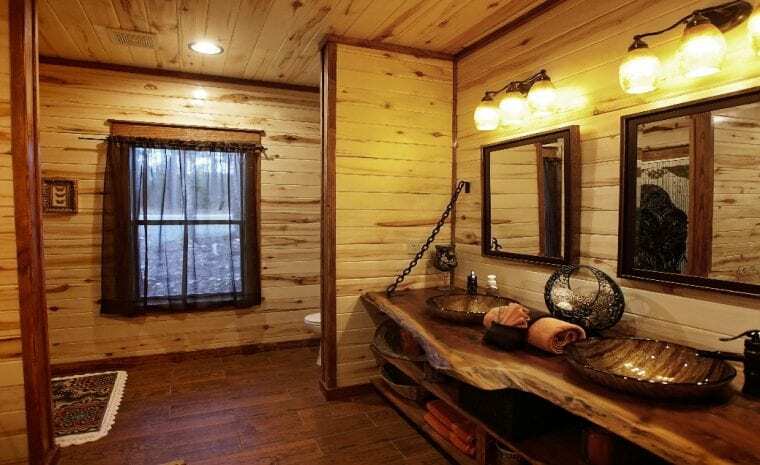 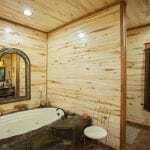 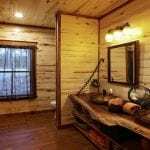 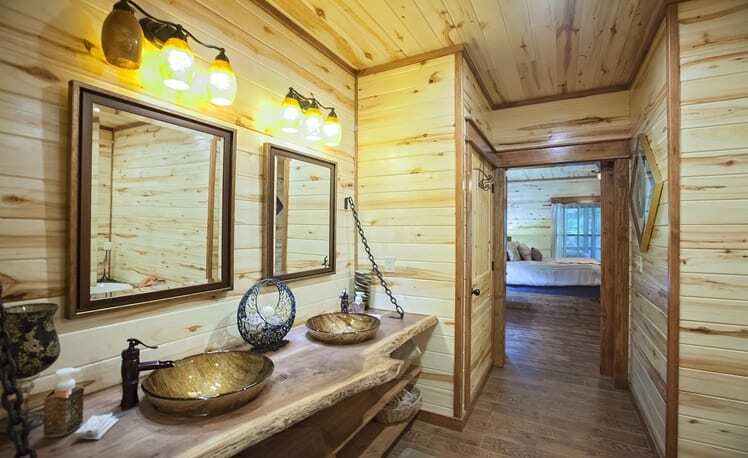 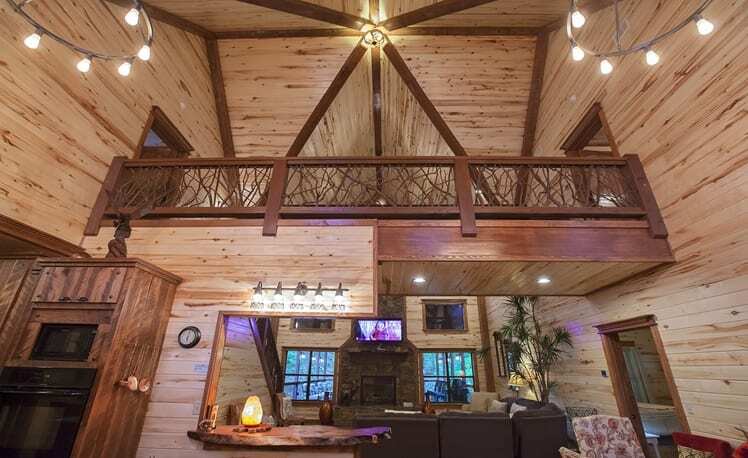 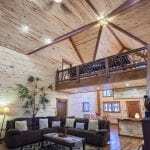 Copper Spa Lodge houses an elegant realm of rustic luxury from the floor-to-ceiling two story gas log fireplace to the private aromatherapy spa with multiple shower heads in the downstairs river rock shower, the 3 master suites with private baths, and 1 Bunk Room with adjoining Bath. 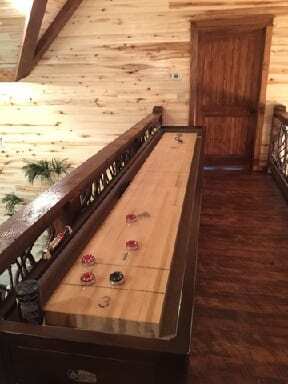 A new Shuffle Board Table provides fun for all ages! 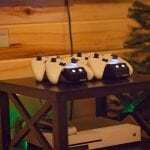 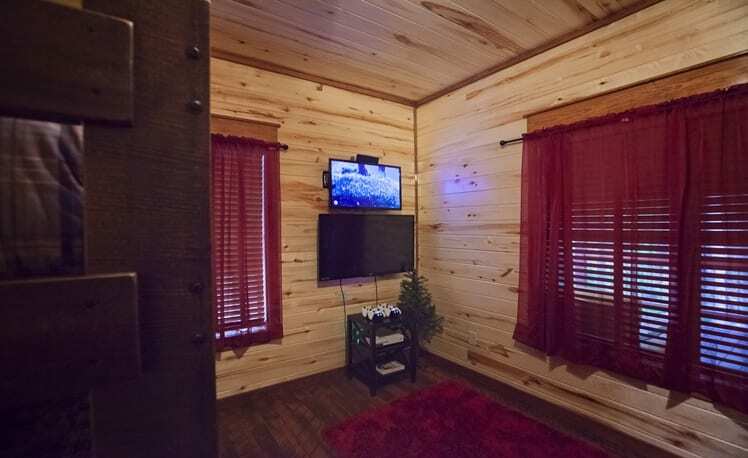 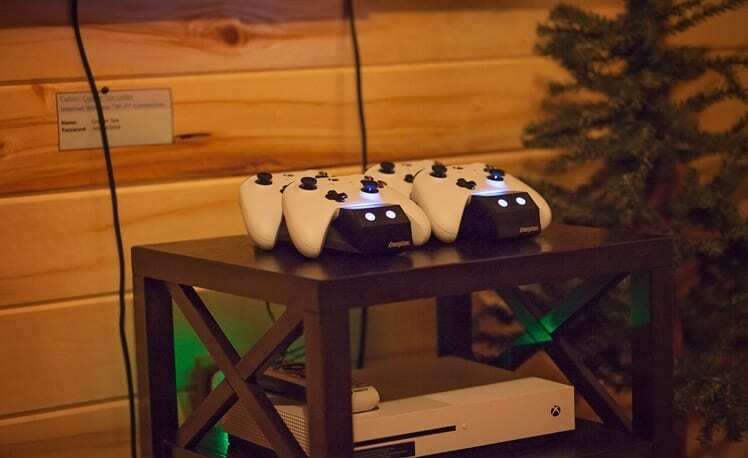 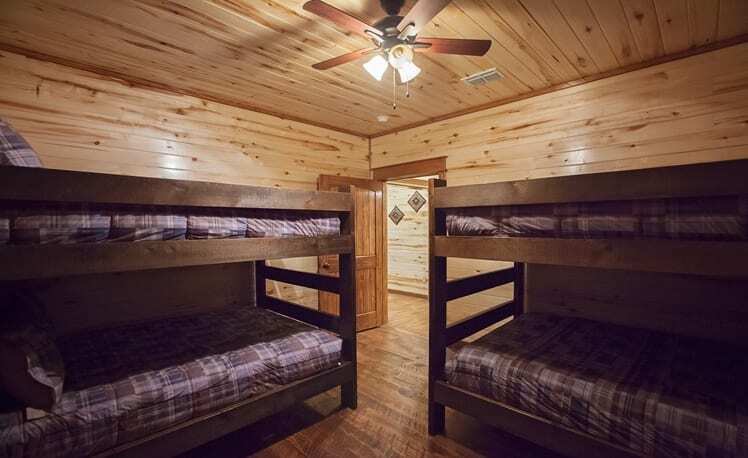 The Bunk Room has two 32′ TVs, one with XBOX 1. 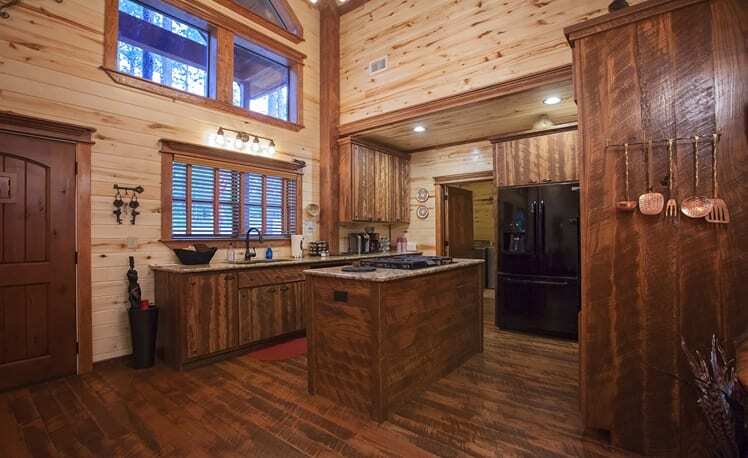 A new Keurig Coffee Maker makes a tasty cup of coffee. 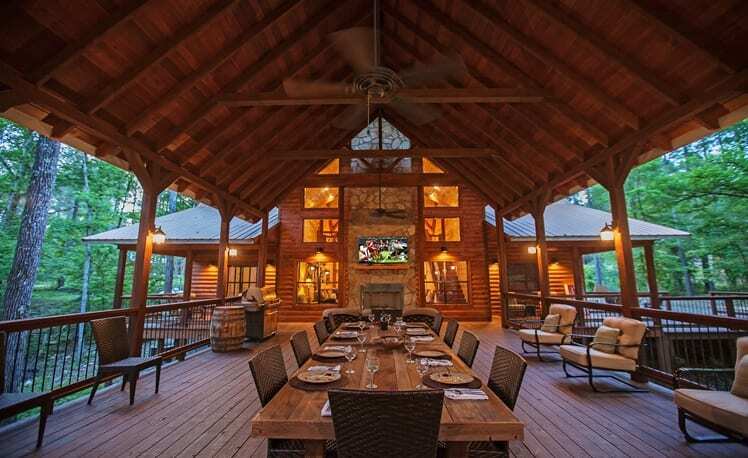 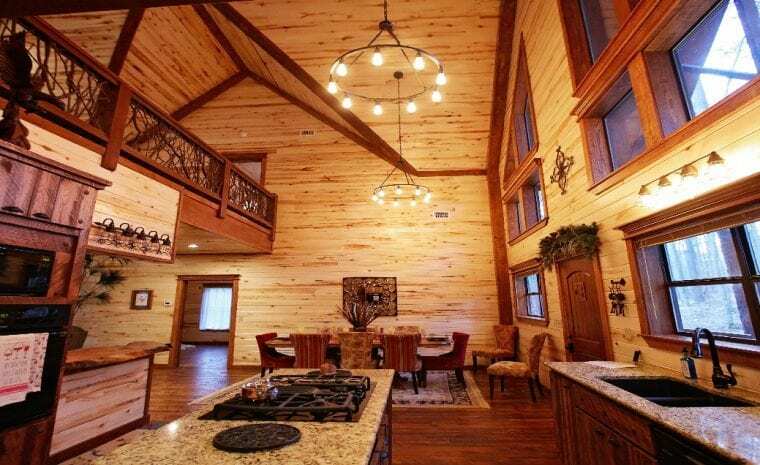 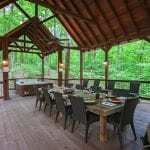 The Copper Spa Lodge has an open floor plan with floor to ceiling windows to view the beautiful heavily treed outdoors, which allows for many hours of entertaining and enjoying the family while preparing meals in the gourmet kitchen on the island gas top range surrounded by granite counter tops and a unique bar made from one beautiful hardwood slab. 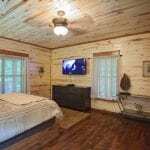 Indoor entertainment can be viewed on the 60” flat screen in the living room 55′ in downstairs Master, with a Blu-ray DVD player including satellite with all the movie channels and ESPN sports, popcorn provided. 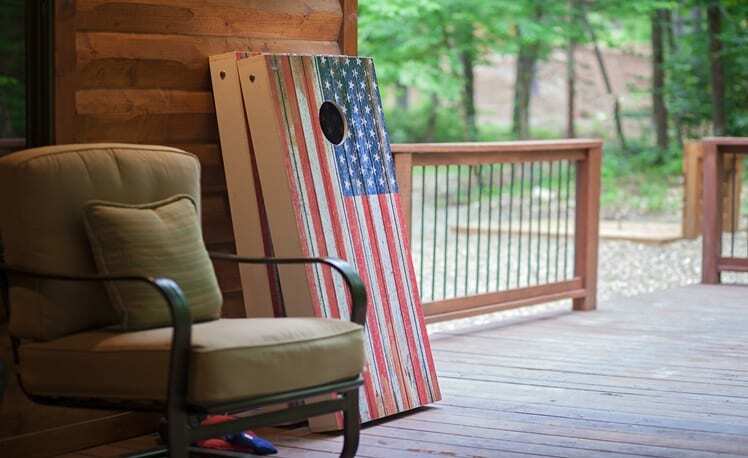 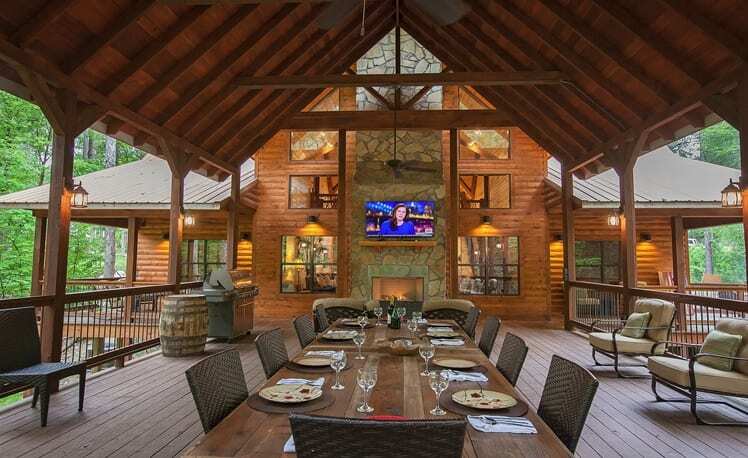 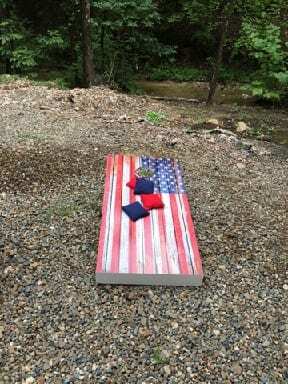 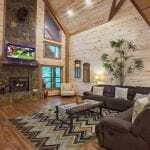 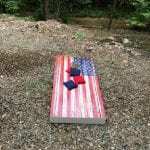 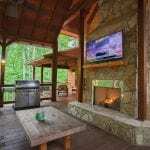 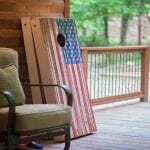 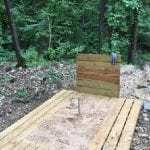 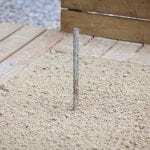 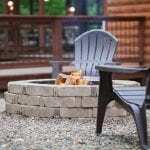 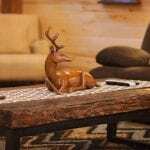 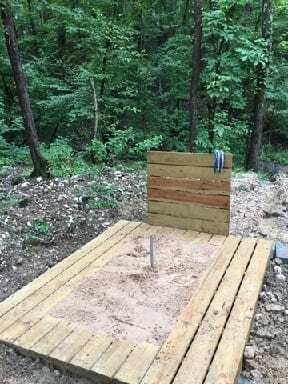 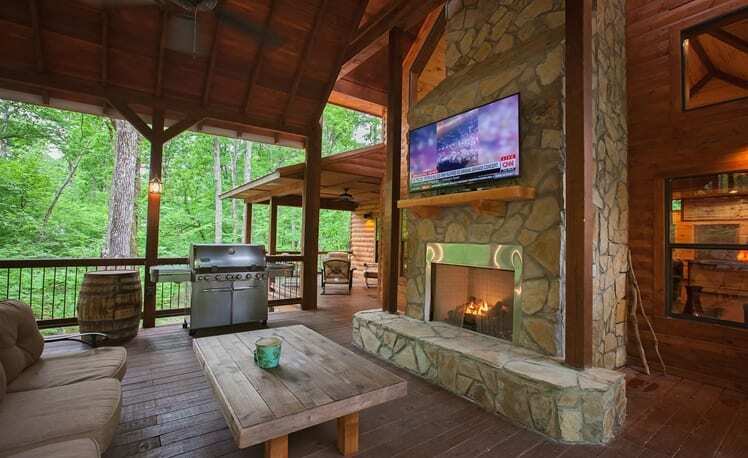 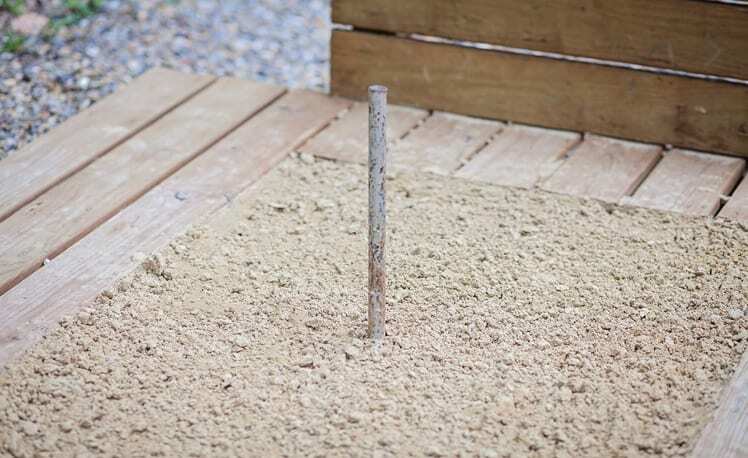 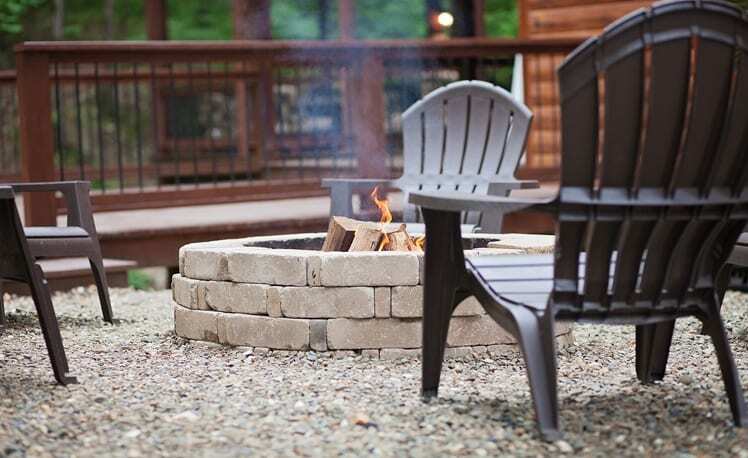 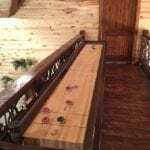 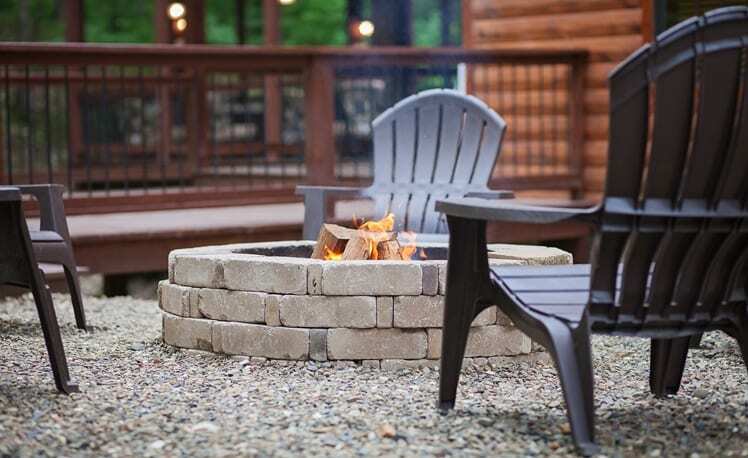 For outdoor entertainment, fire pit, horseshoes, toss game and a new covered deck (25′ X 35′) spanning across the creek, covered with a large wooden dining table, outdoor fireplace, 60′ TV, and comfortable outdoor furniture. 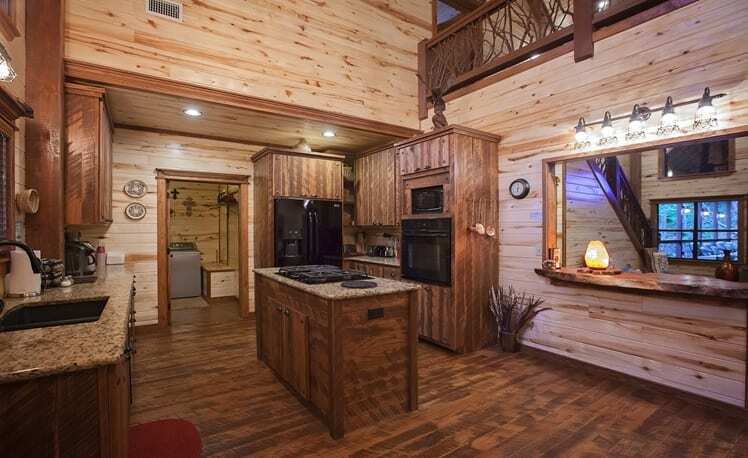 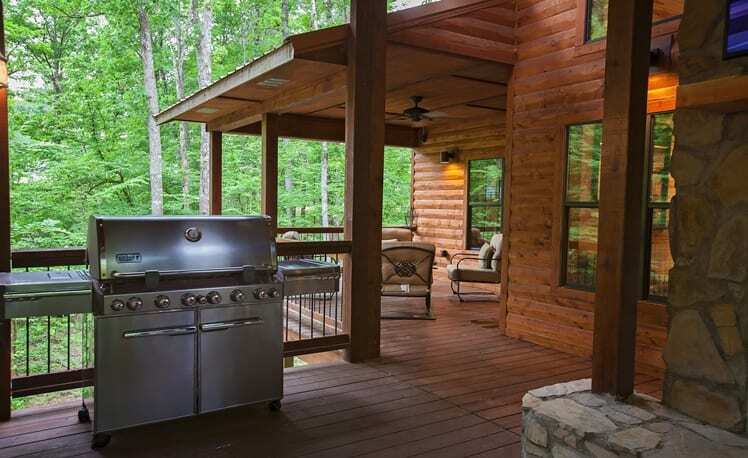 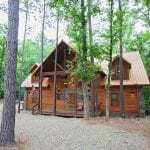 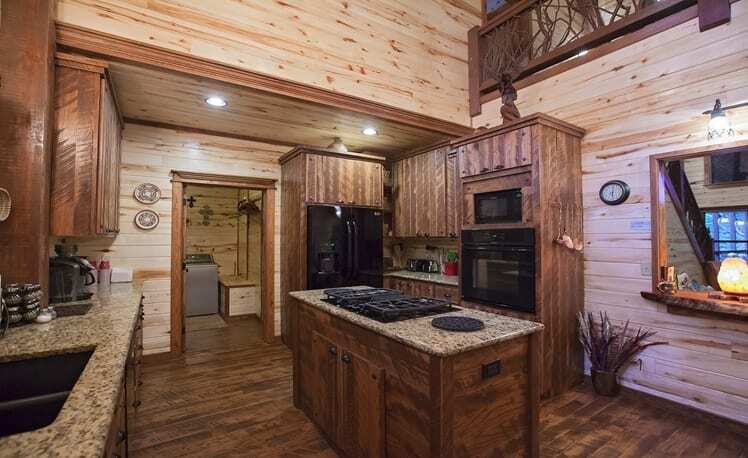 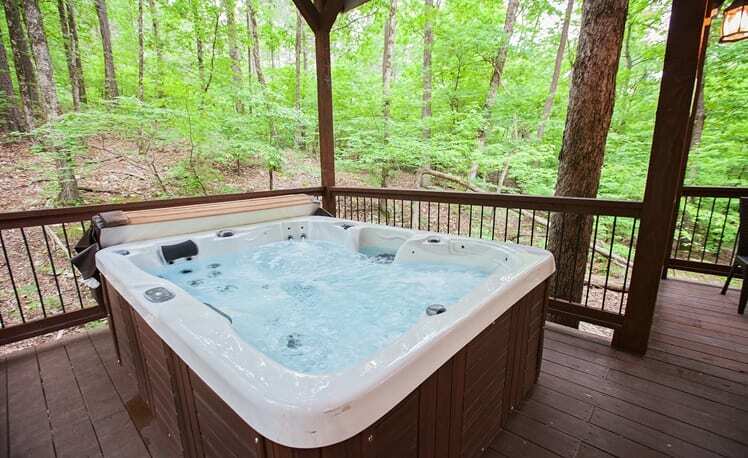 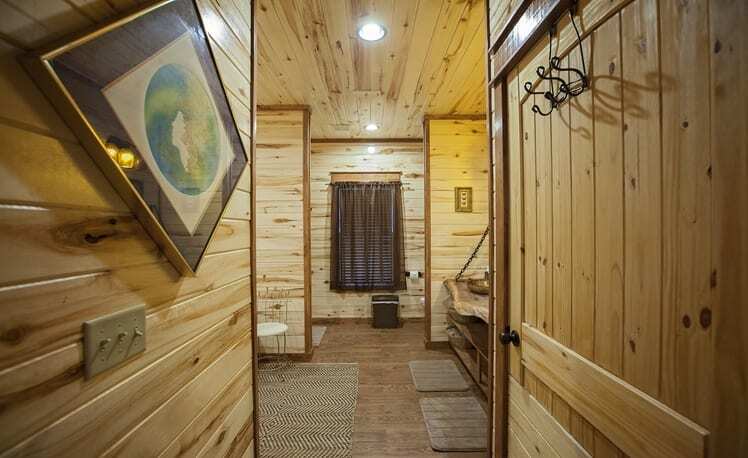 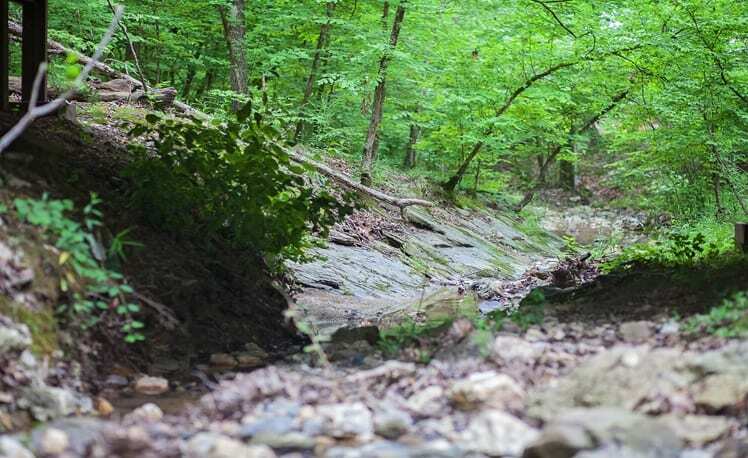 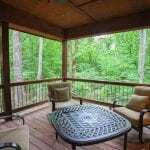 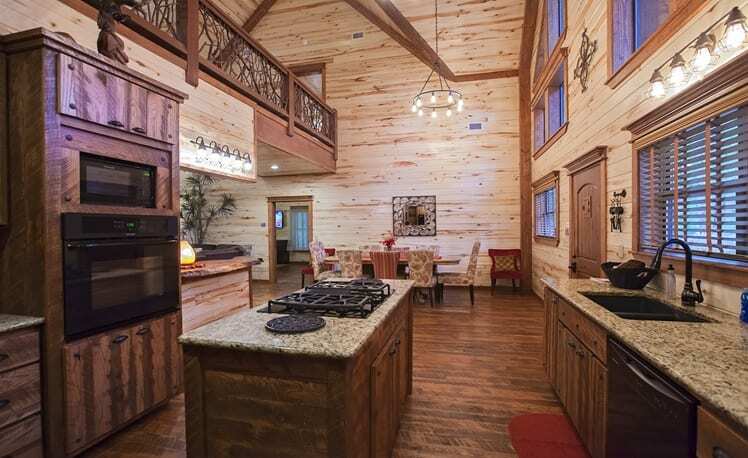 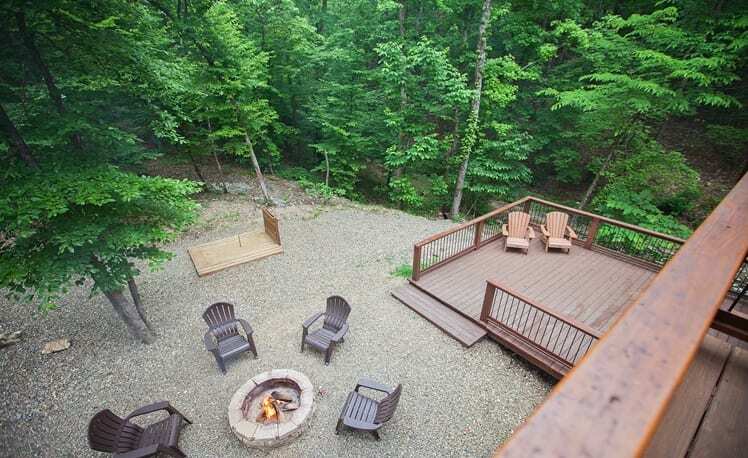 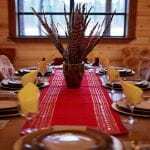 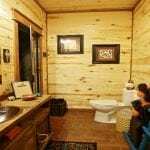 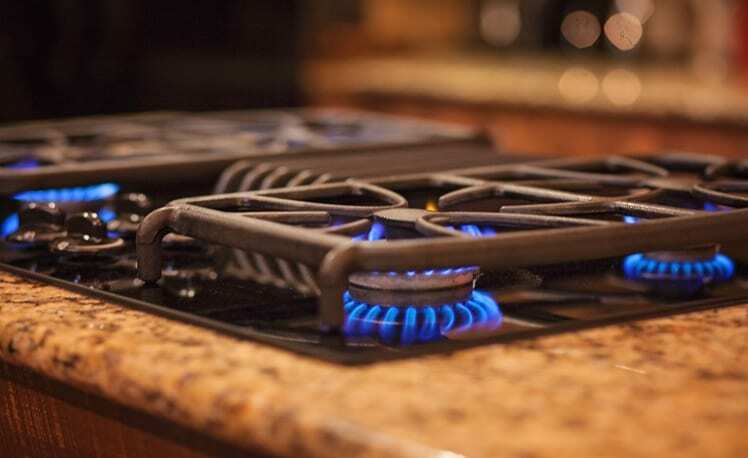 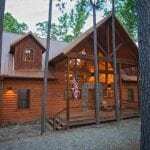 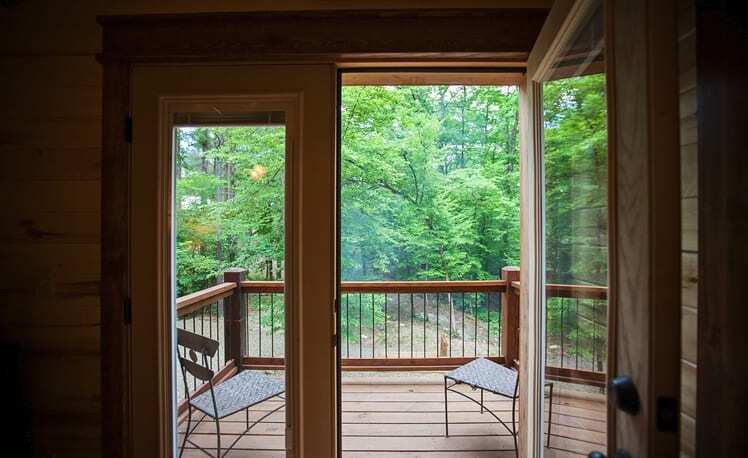 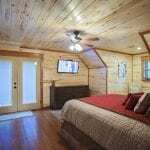 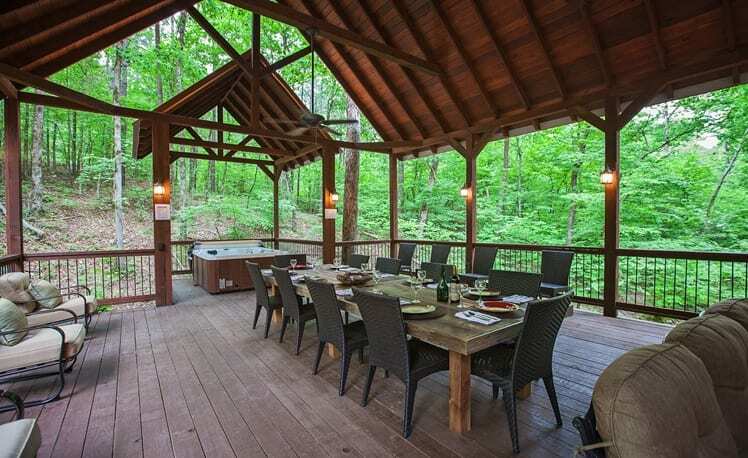 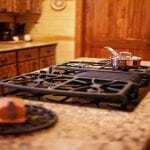 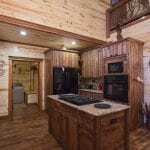 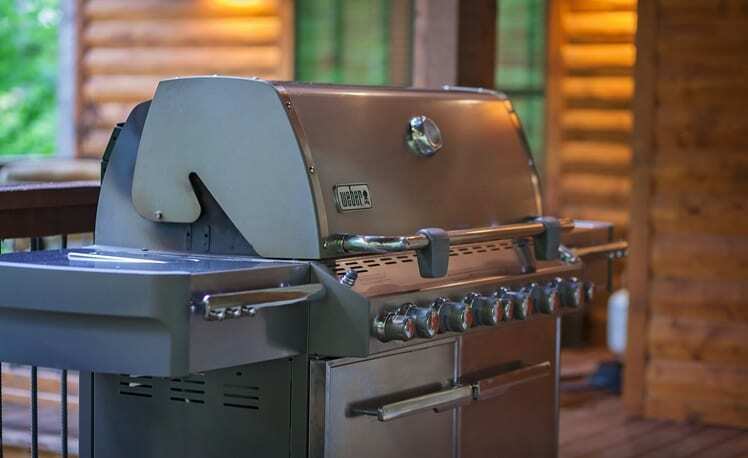 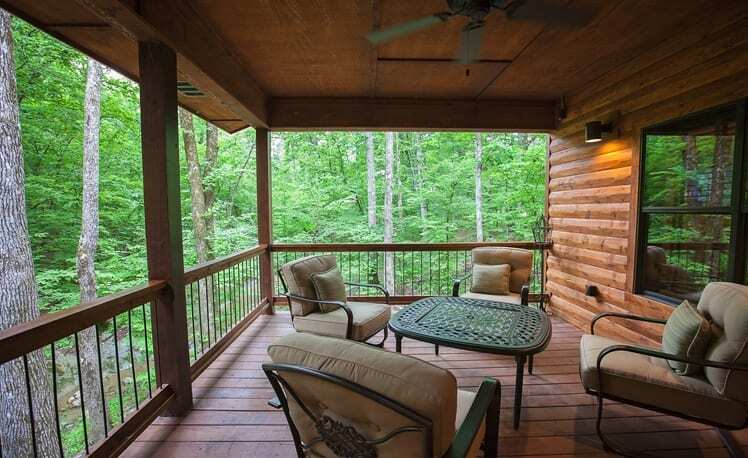 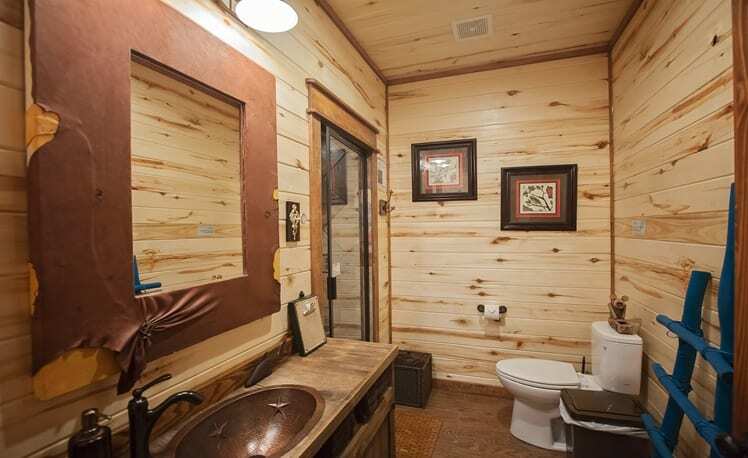 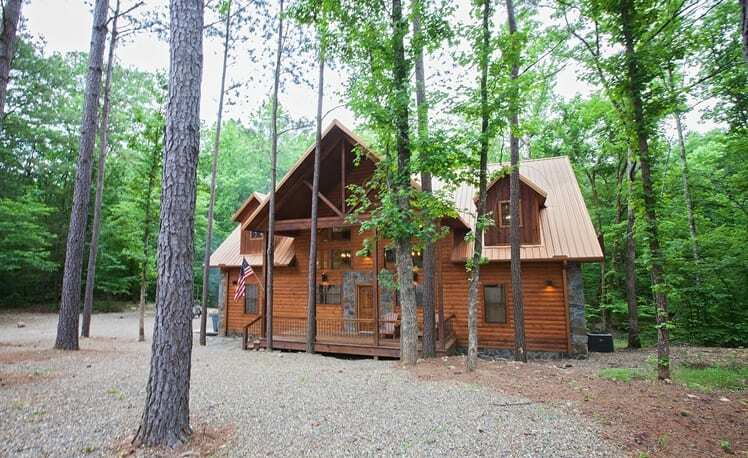 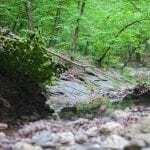 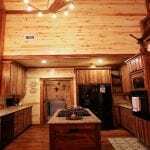 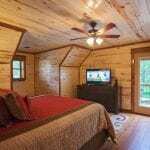 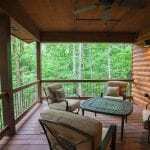 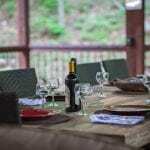 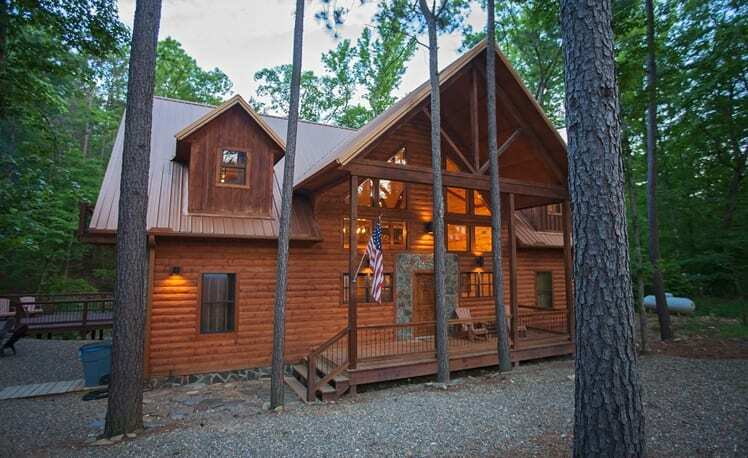 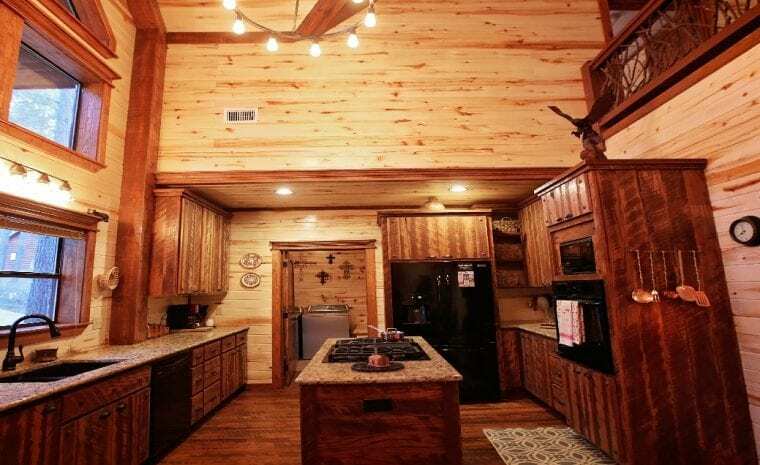 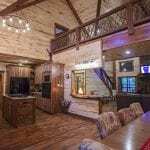 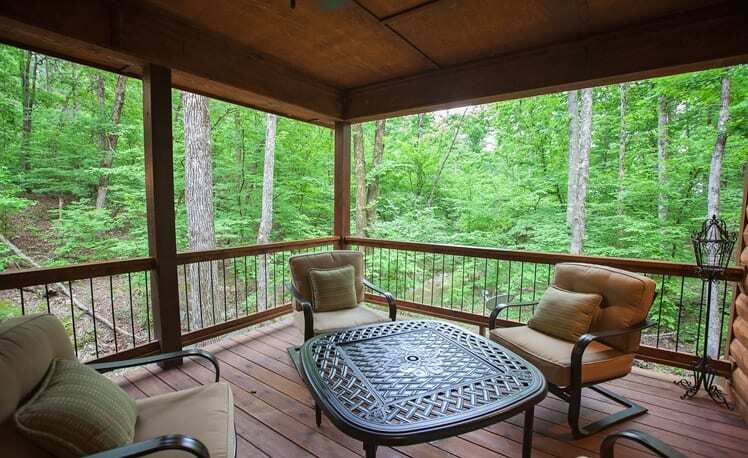 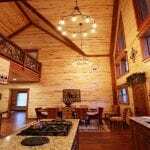 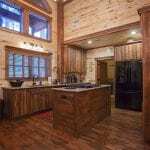 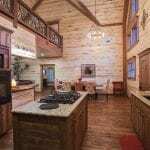 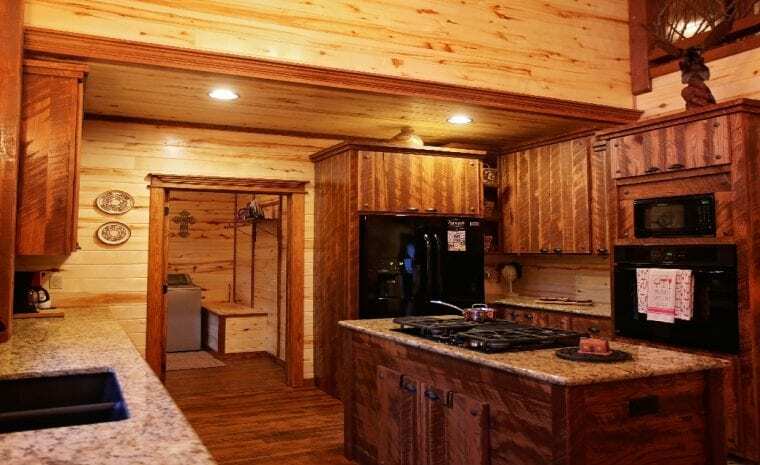 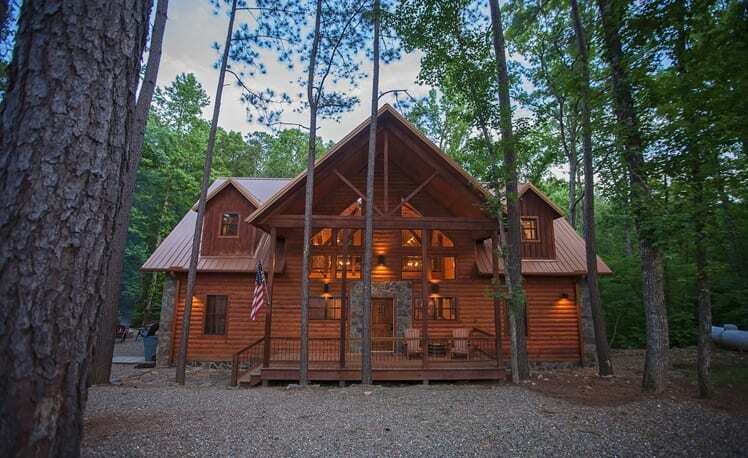 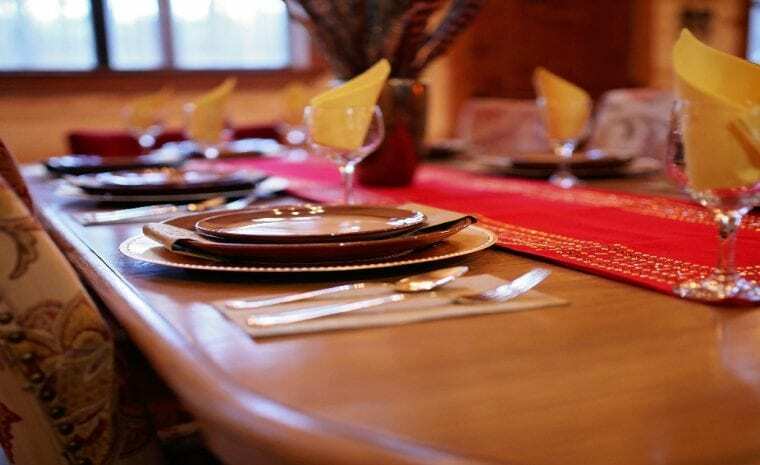 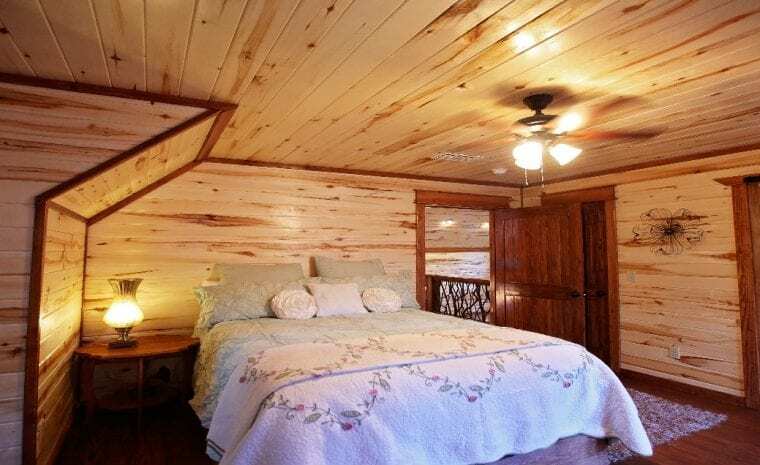 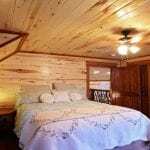 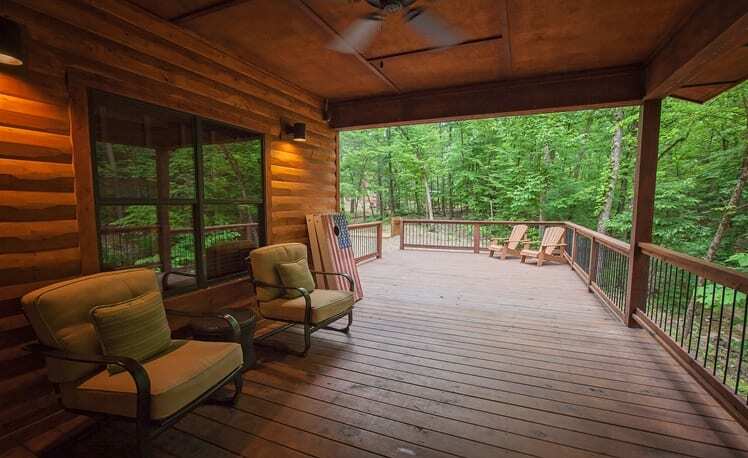 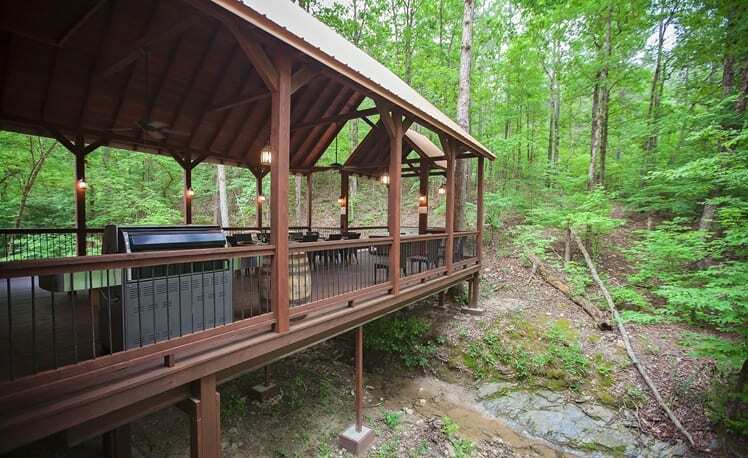 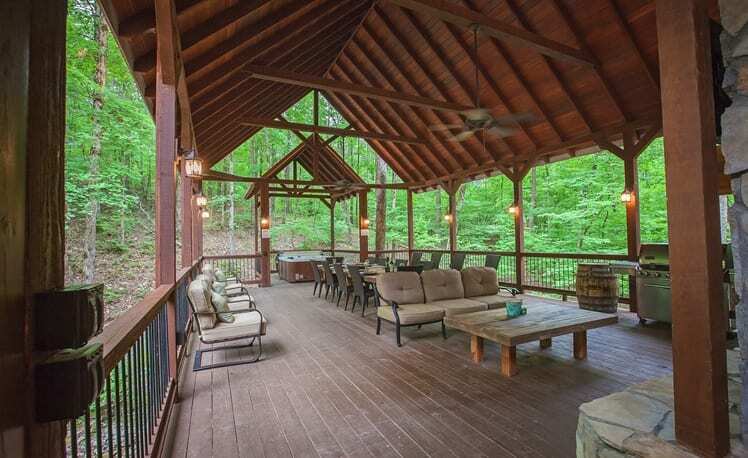 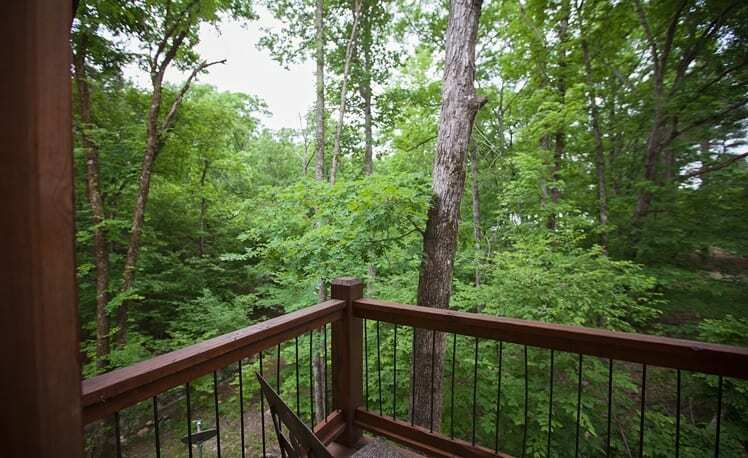 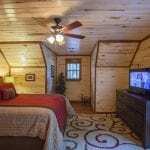 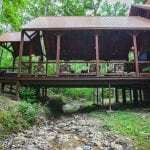 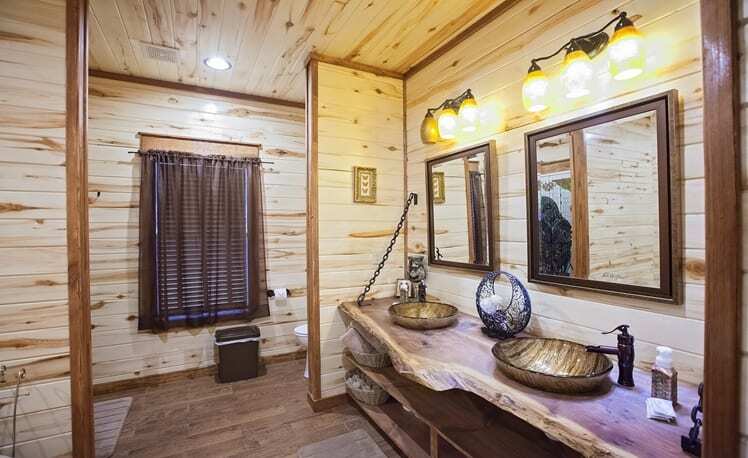 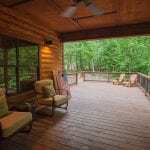 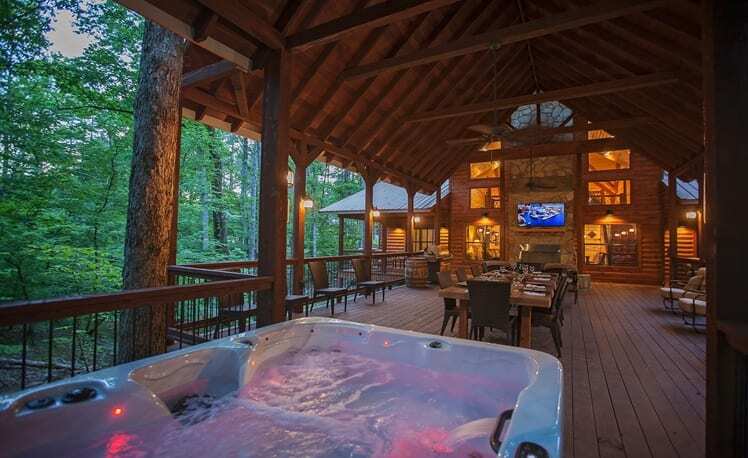 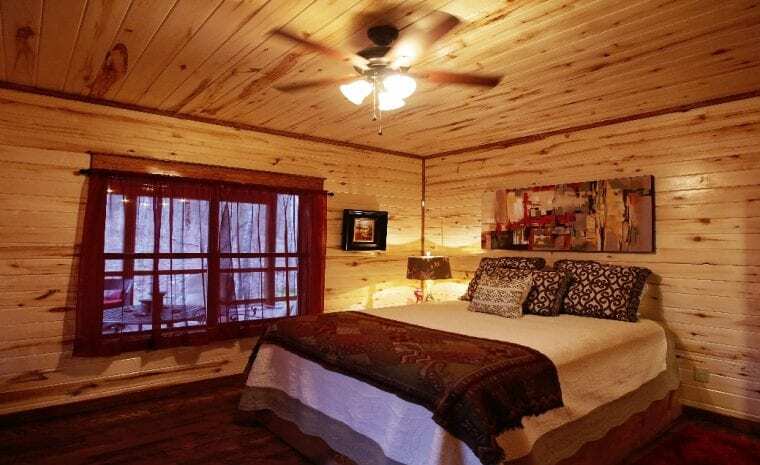 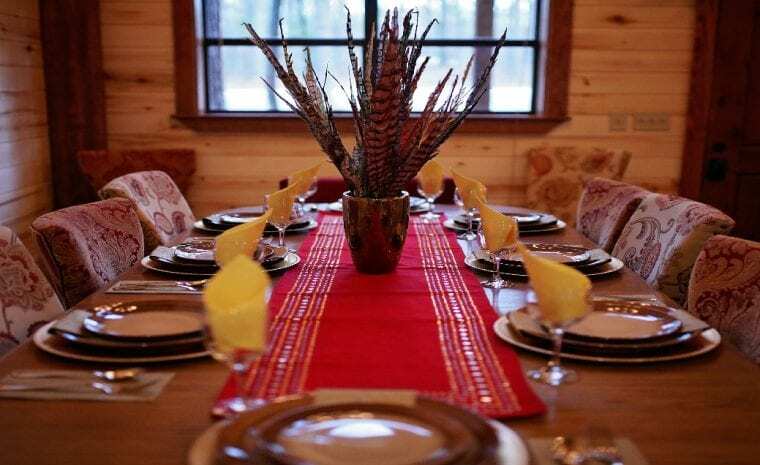 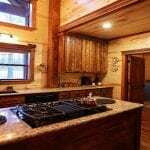 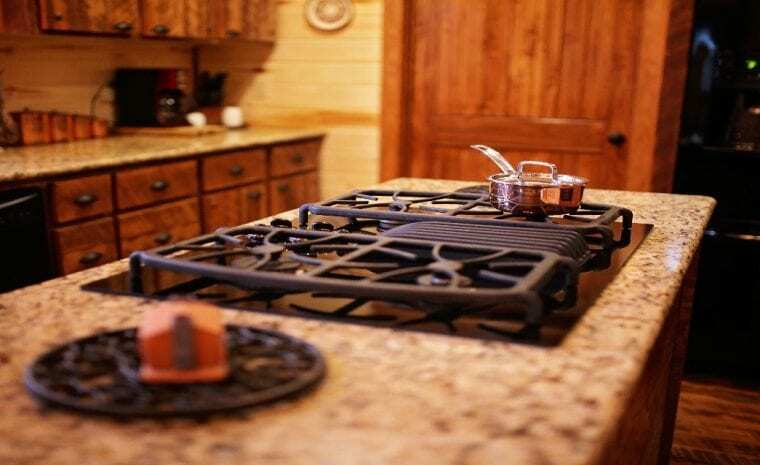 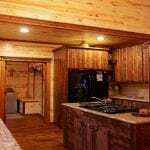 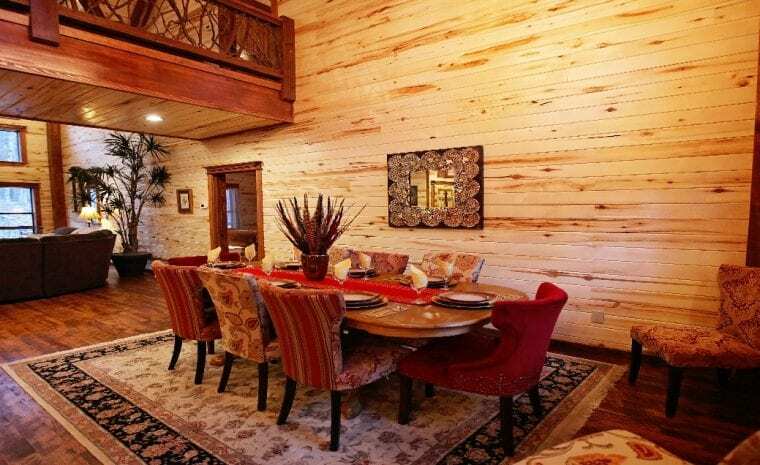 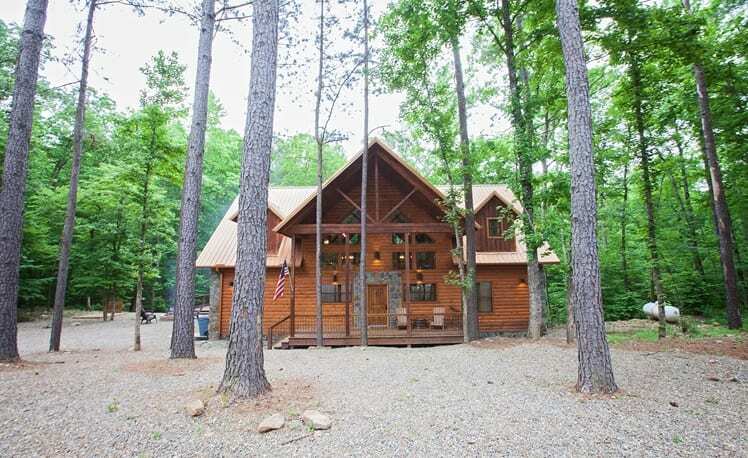 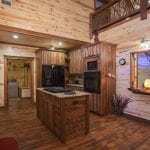 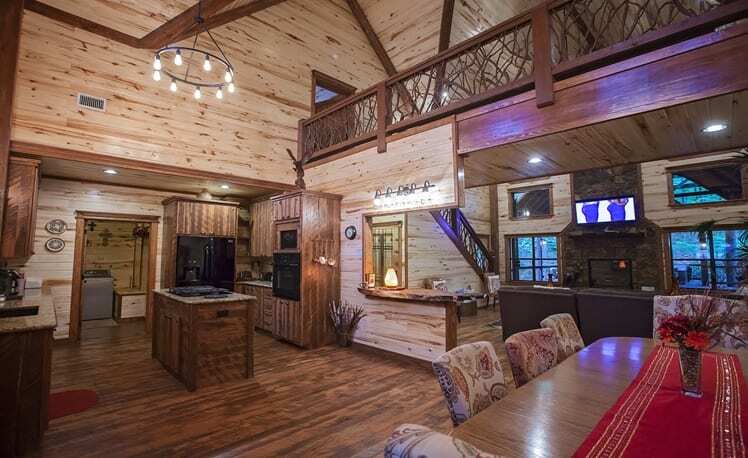 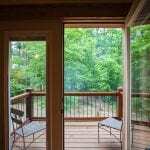 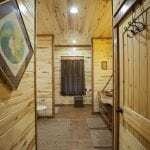 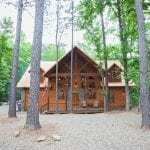 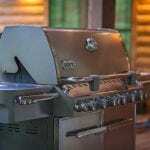 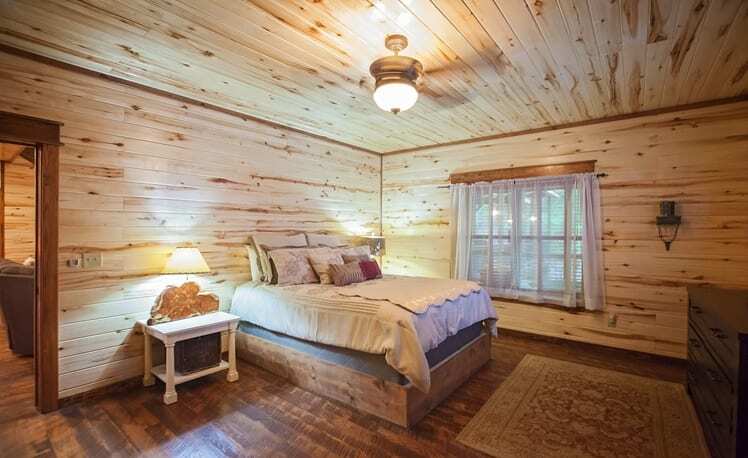 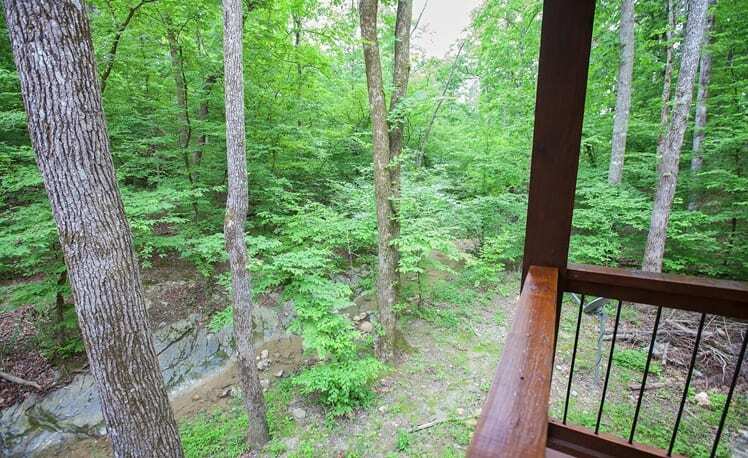 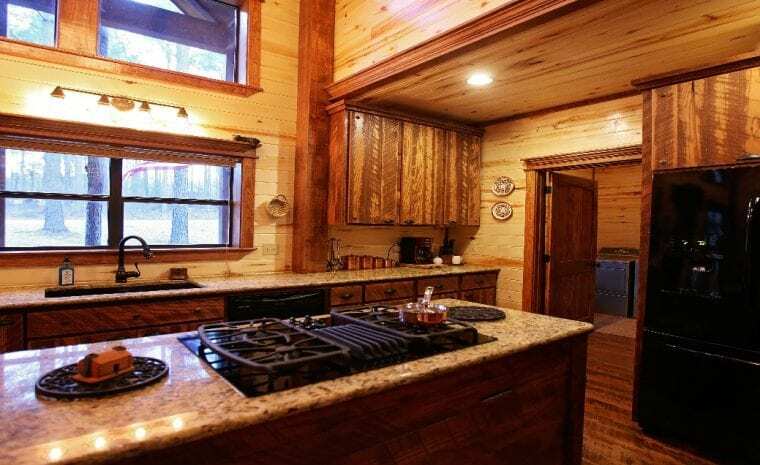 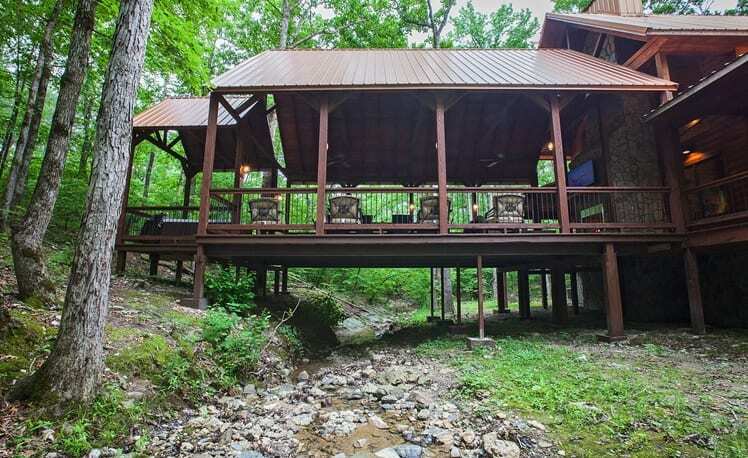 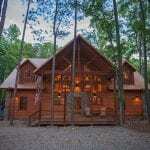 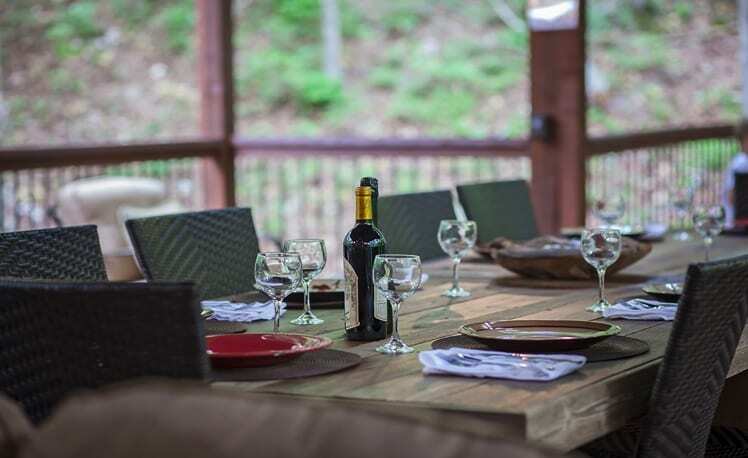 You can cook on the outdoor grill or make s’mores around the fire pit under the pines or soak in the bubbly hot tub on the covered back deck under the star filled sky while listening to Copper Creek trickling below for endless hours of relaxation. 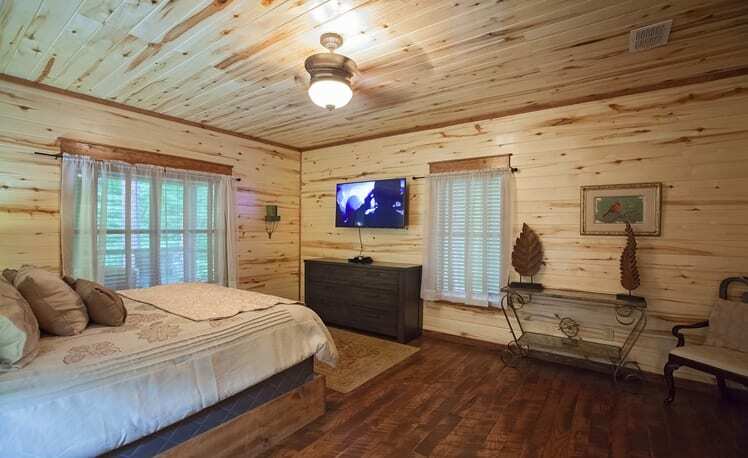 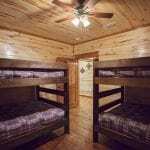 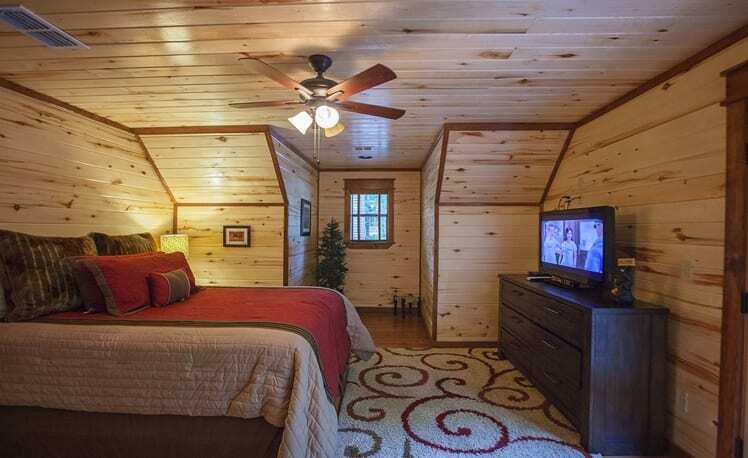 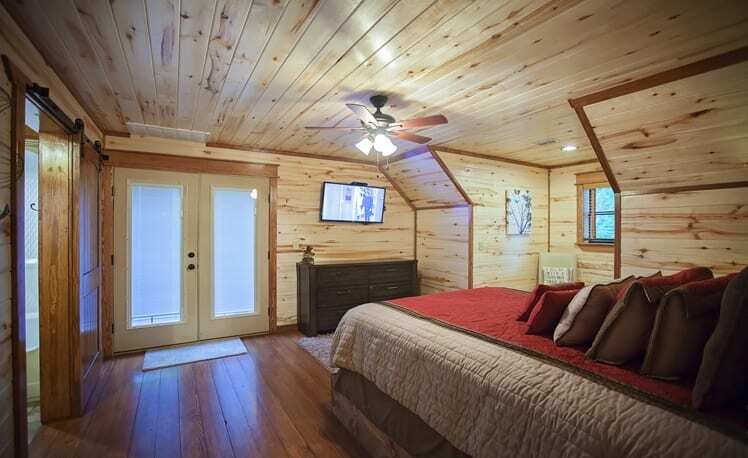 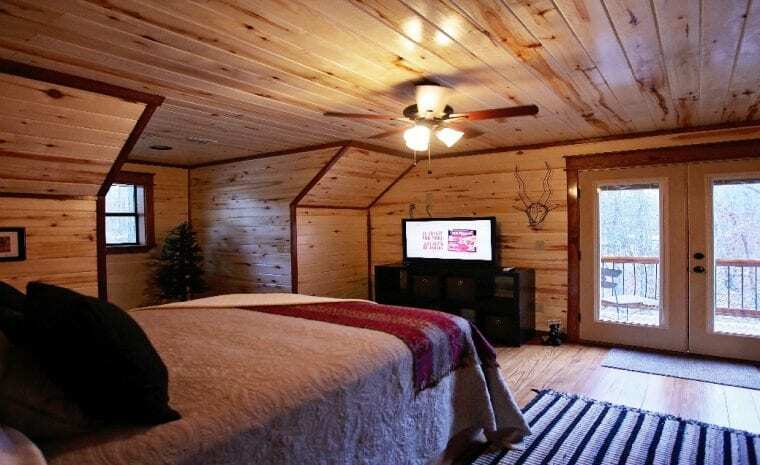 After a fun filled day of outdoor activities, sink into luxury bedding on your gel cooled queen mattresses; watch a movie on one of the flat screens in each bedroom, or relax in the Mr. 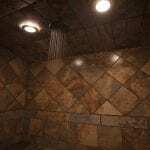 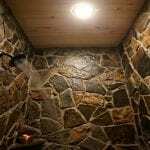 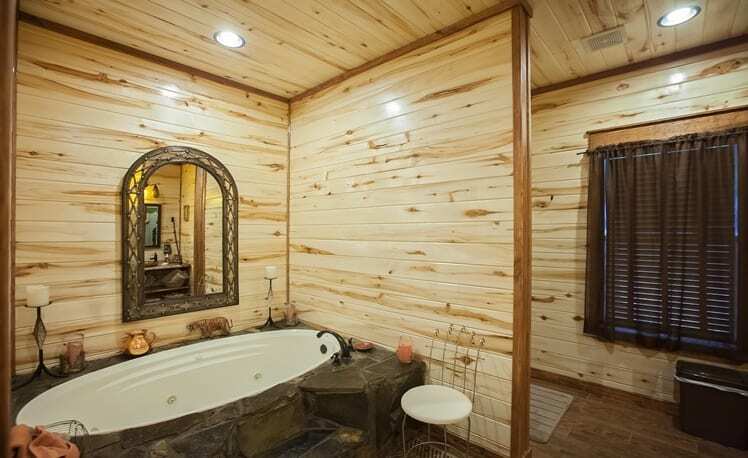 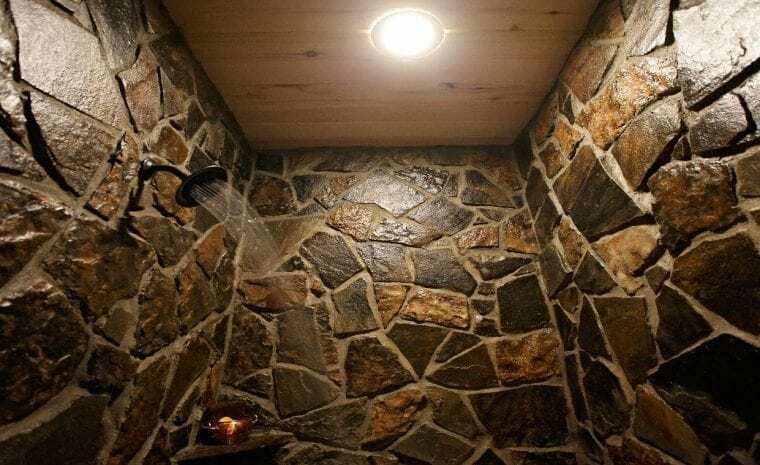 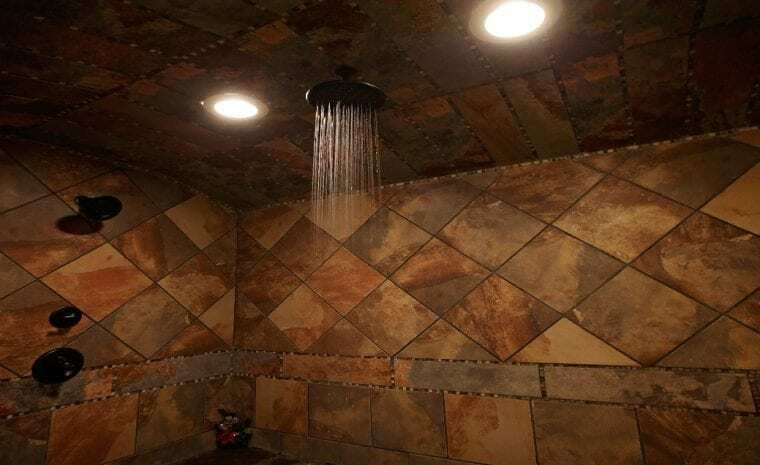 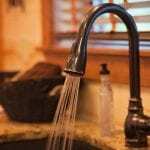 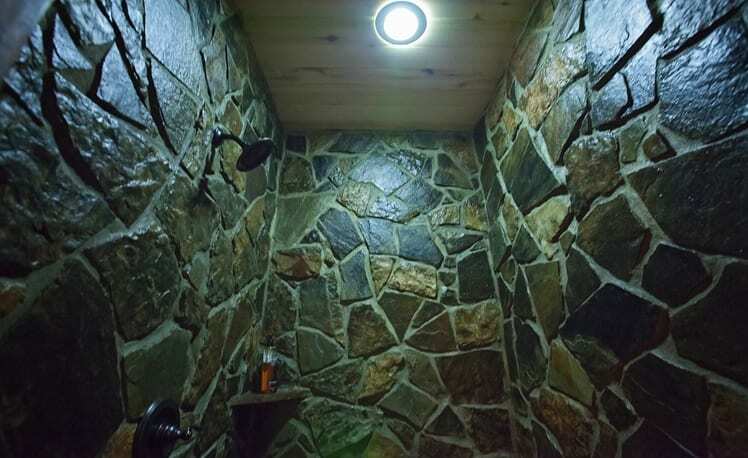 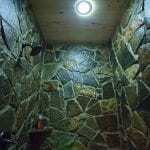 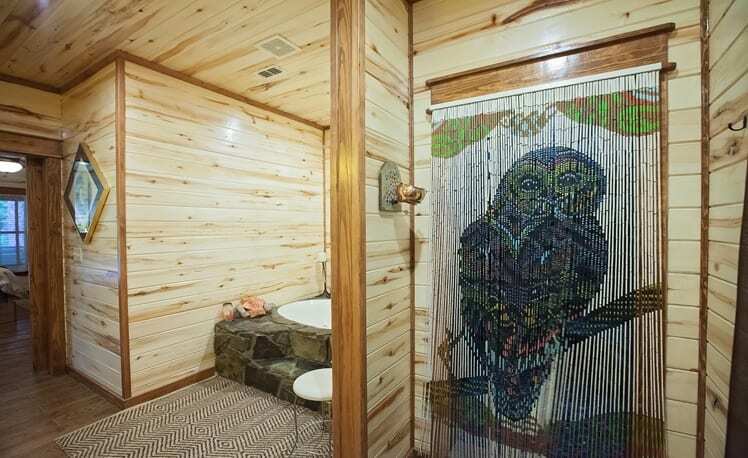 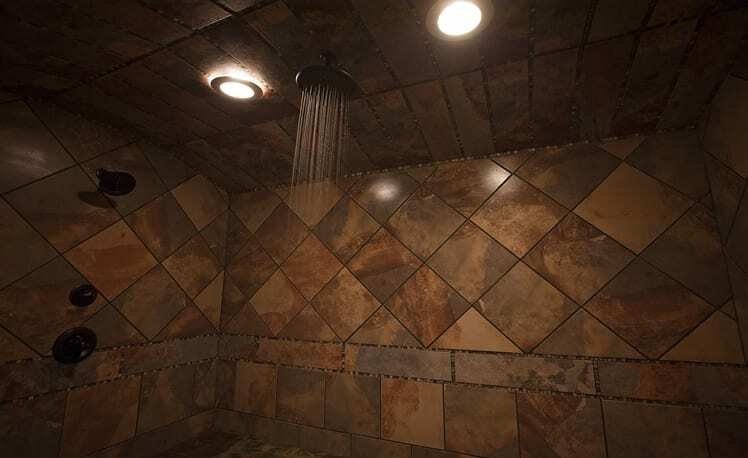 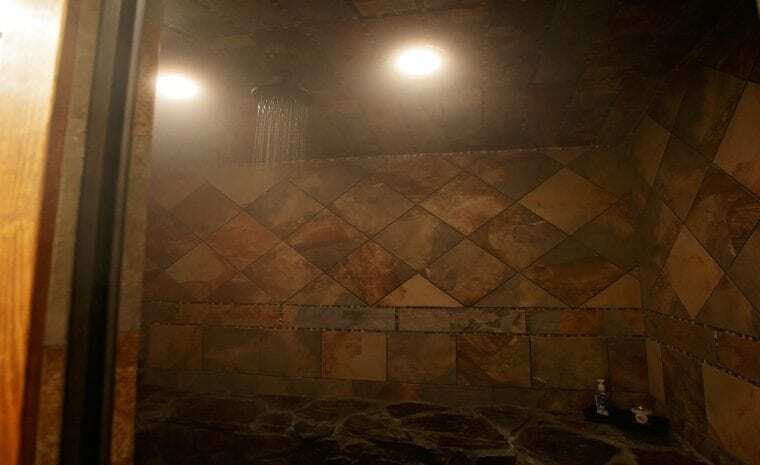 Steam Aromatherapy Wet Steam Spa in one of the downstairs master baths or large jetted tub. 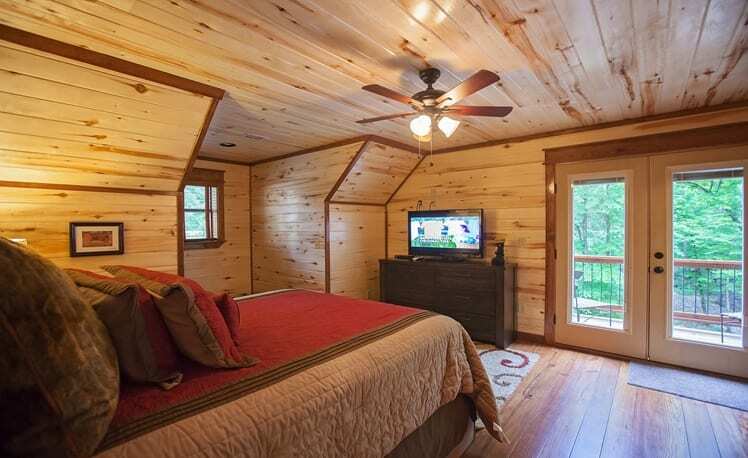 The 3 master suites provides each guest with privacy and comfort. 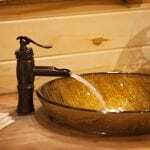 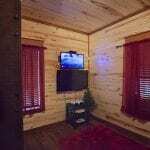 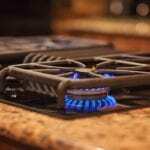 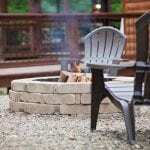 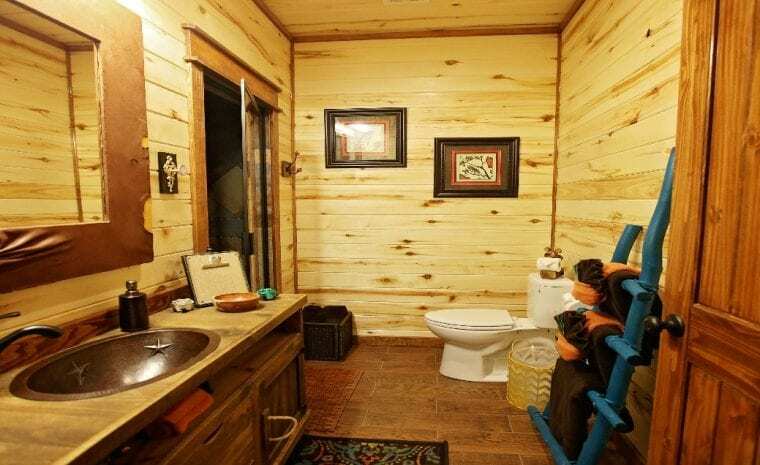 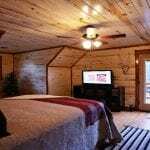 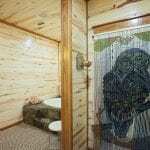 A Copper Spa Lodge also has high speed internet, full size washer/dryer with detergent. 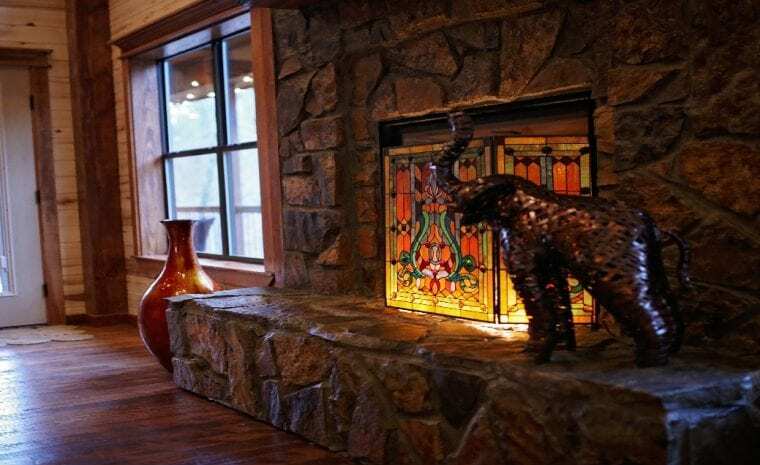 Come make wonderful memories and enjoy a well deserved relaxing getaway at the Copper Spa Lodge! 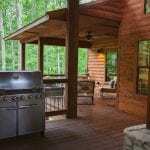 * Starting on 8/4/17, a $100 cleaning fee is charged for Copper Spa Lodge reservations. 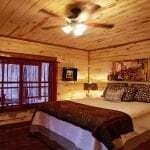 This fee will not appear on the initial automated confirmation email when booking online and will appear on a subsequent confirmation email. 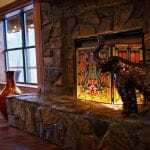 Do you have questions about the Copper Spa Lodge?